Magnolia Bakery is a New York city classic. I stop by at least once every time I’m in town and this time I committed to a pilgrimage to the original Bleecker Street location. Right in the heart of Greenwich Village amongst a multitude of Marc Jacobs and right around the corner from The Spotted Pig, the original location is a modest bakery with amazing product. I had my heart set on their banana cream pie but they were all out – so I went with a Banana pudding on the staffs suggestion. There was no seating inside but it was a beautiful day so I took my pudding and coffee around the corner and ate it outside. The banana pudding was absolutely spectacular. 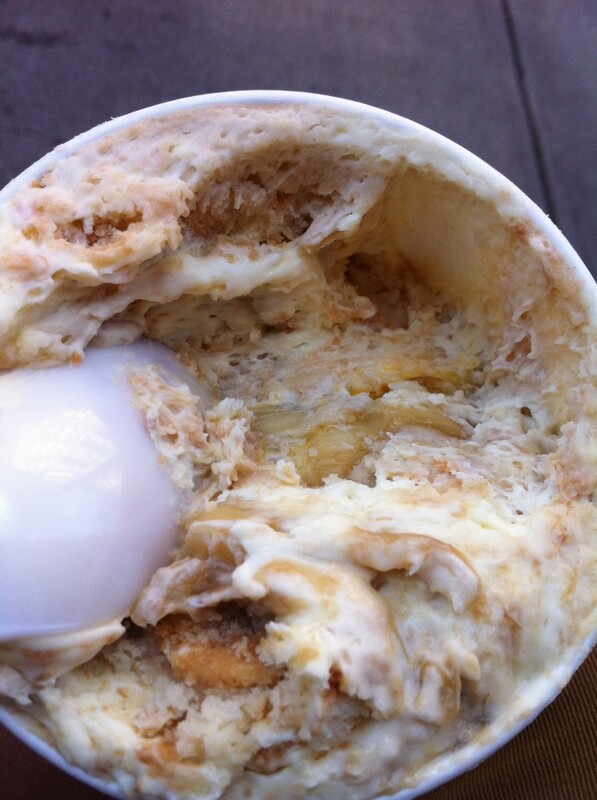 A symphony of fresh banana, thick cream and spongy bread pudding swirled together harmoniously. It’s just that good. Magnolia is an interesting institution that has been attributed to having great influence on New York city pop culture at large. Many believe Magnolia is responsible for the rise in popularity of the cupcake or cupcake gentrification. Tags: Bakery, banana pudding, Bleecker, cupcakes, Dessert, Magnolia Bakery, New York.